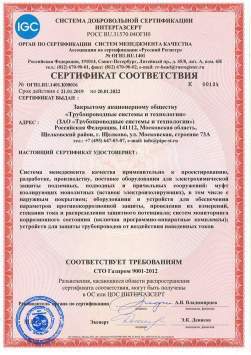 CJSC "Pipeline systems and technologies" has successfully passed the certification audit of the quality management system in the system of voluntary certification INTERGAZSERT for compliance with the industry standard STO Gazprom 9001-2012. The Certificate of Conformity No. 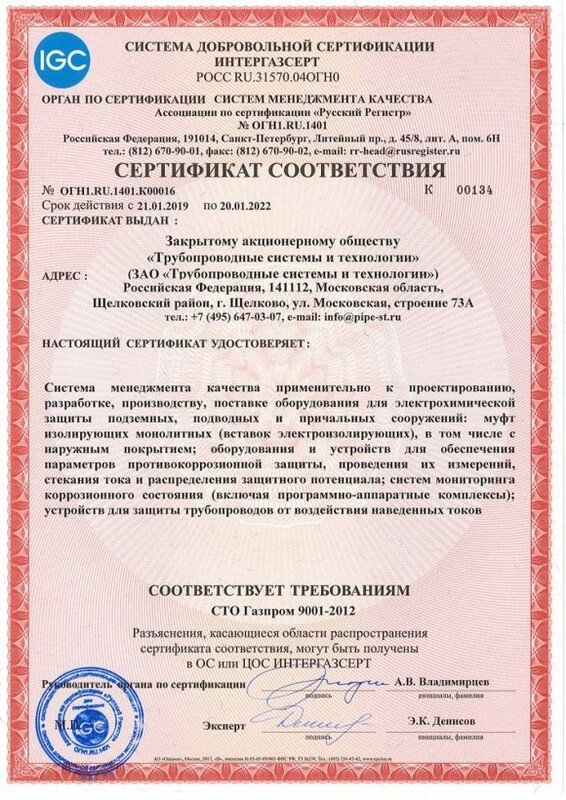 OGN1.RU.1401.К00016 for compliance with the requirements of STO Gazprom 9001-2012 was obtained with the validity period until 20.01.2022.